Pikes Peak Preservation Forum – Preliminary Program and Important Registration Information! 2019 Calendar – Save the Dates! 2018 HPA Awards Gala in Photos! Constructed in 1931, designed to be fireproof, the building was constructed solely from utility revenues. 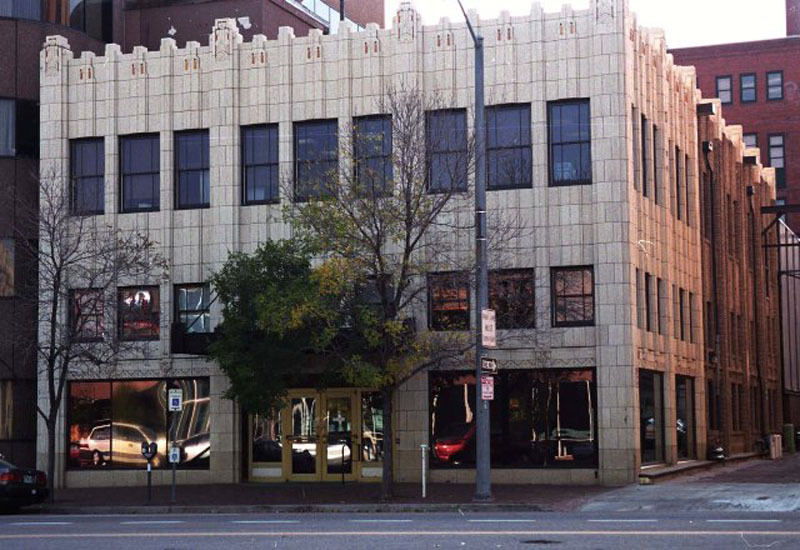 Generally considered the outstanding example of Art Deco in the downtown, the building is clad in polychronmatic terra cotta. Designed by local architect, Thomas Hertherington who also partnered with William Douglas in the design of many homes in the North End. PROGRAM ANNOUNCED – Registration open! Join your friends and colleague in this inspiring and informative conference – May 3rd at historic Grace and St.Stephens Church, 601 N. Tejon. HPA in the News! Click to read the Gazette article about our work here! Celebrating our 20th Year with the theme: Preservation by the People! Click here to join, renew, upgrade or convert to a monthly sustaining member today! In honor of all our members, sponsors, colleagues and friends over the last two decades, thank you for supporting our mission to provide leadership and inspiration to preserve, protect and promote Colorado Springs’ heritage and historic neighborhoods for today and future generations. Learn about the City of Colorado Springs’ HISTORIC PRESERVATION PROGRAM, NEWS: the City is currently revising its 1993 Preservation Master Plan with a consulting team. Discover the 2020 ACTION PLAN to Advance Preservation in Colorado! WISH LIST: We are in need of a new or gently used metal 3-drawer lateral file cabinet. Your donation will be appreciated every time we are easily able to find something that urgently needed organizing and archiving. Contact info@hpasprings.org. Friend us on FACEBOOK! Join and follow us, and share with your friends and family! Learn HOW TO preserve, protect and treat your historic wood windows! NPS Technical Preservation Services Brief #9.